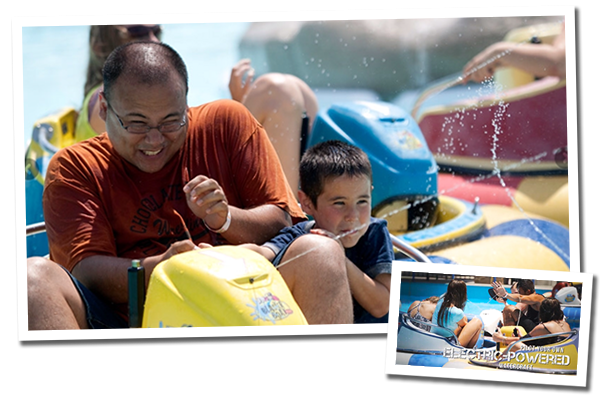 Pilot your own electric powered Bumper Boat bumping into and squirting your friends with your very own water gun! Watch out for the fountain too! Don’t miss this opportunity to let loose and laugh with your family and friends. You might even get blasted by people watching too! Our boats are located in a clean shallow pool. Bathing suits are not required. You will get wet, not soaked. On cold days the squirters will be off. We will use our own discretion, so you may enjoy bumping around the pool. Our boats allow up to two people, a 300 lb capacity.